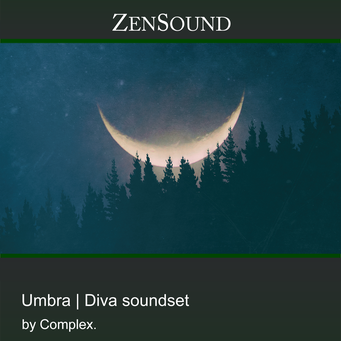 Umbra for Diva — inspiring and carefully designed dark filmscore electronica. Each patch is designed to inspire and give you unique musical ideas for any dark electronica project. Inspired by the 70’s and 80’s horror soundtracks and with a slight touch of synthwave this soundset is perfect for a suspenseful and original horror story. Formed by analog and nostalgic leads, suspenseful pads, inspiring sequences and arpeggiators, analog bass loops and basses, eerie soundscapes, cinematic percussion loops, thrilling sound effects, tense and dystopian synths and keys. This soundset is a creativity toolbox full with tense, suspenseful and dark ideas — 128 original and unique patches to enhance your creativity.